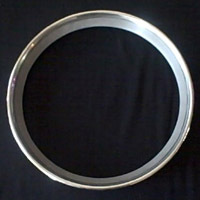 Welcome to the American Made Banjo Company website store. Originally inspired by the prewar Kel Kroydon Style 10 and 11 banjos the AMB Co has grown leaps and bounds offering many new Banjos, Parts and Accessories for every level of picker. Looking beyond our resurrection of the famed original series Kel Kroydon Banjo, the AMB Co has introduced a more conventional style bluegrass banjo line using natural woods and finishes, each equipped with the Dannick Tone Ring. The AMB Co named these the Kel Kroydon New Generation and Signature Series. Product excellence and customer satisfaction is the top priority of the AMB Co. In an effort to ensure our mission is accomplished, the AMB Co has teamed up with the best in the business. Instrument builder Robin Smith and player Charlie Cushman are part of the AMB Co decision process, providing a true form of quality and satisfaction to every customer. Robin Smith's impeccable craftsmanship along with Charlie Cushman's ability to get the right sound out of a banjo has made the Kel Kroydon Banjo Line one of the best custom made banjos on the market today. Take a moment and check out the quality banjos, parts and accessories now offered by the American Made Banjo Company.